Google Maps Finally Back On iPhone! 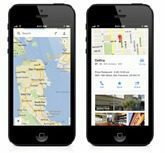 The Google Maps application was released yesterday for the iPhone after a long, painful three months with a native app on iOS 6 devices. The Google Maps app can be downloaded for free from iTunes immediately. The app is updated from the pre-iOS 6 version with the addition of voice-enabled navigation (beta version) bringing quality, up to date audio prompts in parity with the Android version. This was one of the major selling points for the Android over the iPhone among map enthusiasts, so it is a major addition in itself. The new iPhone version of Google Maps features 2D and 3D map and satellite graphics. Popular destinations highlighted on the map can be opened with a simple swipe revealing a picture, reviews, contact info and other details. Different route options can be quickly switched between as well. Although the mapping is not as intuitive and in depth as a TomTom or Garmin (lacking any details like speed limit, trip ETA or distance remaining among other features), the accuracy of the GPS-based system will be a big relief to iPhone users disappointed with Apple’s own map application launched with iOS 6. The return of the Google Maps app to the iPhone is both a blessing and a curse for Apple. The plus side will remove a differentiation that had favored Android in ease of use and availability of Google Maps, possibly leading to increased iPhone sales or at least less defections to Android phones. On the negative side, this means users will abandon Apple’s own maps applications which requires user input and use to accurately update its content. It may sting Google in lower Android sales, but that may be offset by the increased advertising revenue and additional map location data making Google Maps even better than it was before. 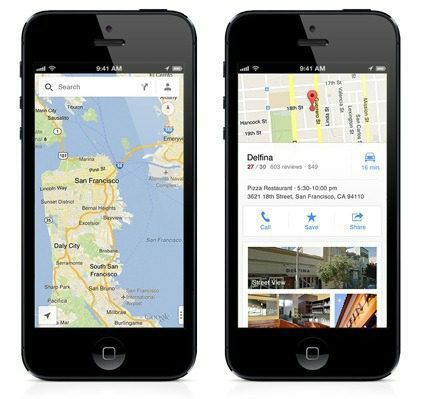 Do you think the Google Maps free app on the iPhone again is a game changer for Apple? Let me know in the comments below!